Nonunion presenting with underlying pathology and failure of treatment needs multimodal surgical approach to ensure success. 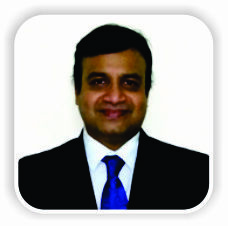 Department of Orthopaedics, Sri Sathya Sai Institute of Higher Medical Sciences, Prasanthigram, Puttaparthi, Andhra Pradesh, India. Department of Orthopaedics, Sri Sathya Sai Institute of Higher Medical Sciences, Prasanthigram, Puttaparthi – 515 134, Andhra Pradesh, India. Introduction: Non-union of the neck of femur fractures in adolescents is a complex problem, especially if there is an underlying pathology such as fibrous dysplasia or unicameral bone cyst. 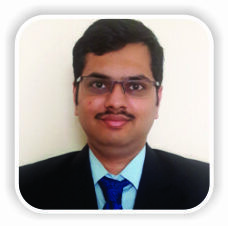 Treatment is challenging and needs careful selection of a combination of strategies. 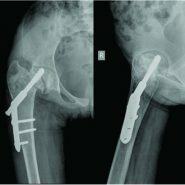 Case Report: We present two such cases with a history of failed osteosynthesis with a sliding hip screw. Our strategy consisted of implant removal, open freshening and cancellous bone grafting of the fracture site, fibular strut grafting, subtrochanteric valgus osteotomy, and fixation with contoured 4.5 dynamic compression plates. Both fractures united uneventfully leaving the patients with good function. Conclusion: A combination of the above strategies is a simple and effective approach to achieve union in non-union of pathological fractures in adolescents despite failed osteosynthesis. Keywords: Non-union fracture neck of femur, Pathological fracture neck of femur, Failed osteosynthesis, Fibular strut graft, Subtrochanteric valgus osteotomy. Neck of femur fractures are uncommon in children and adolescents, and 80–90% of them are due to high-velocity trauma . A small percentage of them are pathological due to diseases such as fibrous dysplasia and unicameral bone cyst . Non-union is not uncommon after surgical treatment of these fractures  and occurs more frequently in pathological fractures . The primary cause of non-union is failure to achieve or maintain anatomical reduction and a fracture is considered ununited when there is a lack of radiographic evidence of union 6 months after fixation . We present here two cases of non-union of the adolescent pathological neck of femur fracture following failed attempt of osteosynthesis with a sliding hip screw. Our treatment protocol involved implant removal, open reduction and augmentation with cancellous bone graft and non-vascular fibular strut graft with subtrochanteric valgus osteotomy. A 14-year-old female presented with a history of pain in the right hip for 4 years. 1 year before presentation she sustained a fracture of the right hip following trivial trauma and was treated operatively. The patient was kept non-weight bearing for 3 months, following which she achieved full weight bearing over the next 3 months. Her gait was always painful. On examination, the patient walked with antalgic short limb gait. Muscles around right hip appeared wasted. There was fixed flexion deformity of 10° and fixed adduction deformity of 30°. Range of motion (ROM) was as follows: Flexion till 130°, adduction till 50°, external and internal rotations of 30° and 20°, respectively. There was an apparent shortening of 6 cm and true shortening of 3 cm. Radiographs revealed ununited subcapital fracture with sliding hip screw in situ. Femoral metaphysis showed central expansile lytic lesion with ground glass matrix suggestive of underlying fibrous dysplasia. A 13-year-old girl presented with inability to weight bear on the left lower limb. 10 months back she had sustained fracture around the left hip following trivial fall and was confined to bed. 4 months after this fall, she underwent surgery of left hip (it could be verified from patient records that she had pathological fracture neck of femur secondary to the unicameral bone cyst and was treated by open reduction, subtrochanteric valgus osteotomy, and fixation with sliding hip screw). Following surgery, she continued non-weight bearing ambulation with crutches as any attempt to bear weight resulted in pain. Examination revealed the following ROM of the left hip: Flexion – 110°, extension – 5°, abduction – 30°, adduction – 20°, and internal and external rotations – 10° each. There was true supratrochanteric shortening by 2 cm. Radiographs revealed ununited transcervical fracture neck of the femur with sliding hip screw in situ and evidence of healed subtrochanteric osteotomy. There was no evidence of any focal bone pathology. Treatment given: Both cases were operated in the fracture table under general anesthesia. Hip joint was accessed through Watson Jones approach. All implants were removed. Cancellous bone graft harvested from ipsilateral iliac crest interposed at the pseudarthrosis site after freshening. Non-vascular fibular strut graft of appropriate length inserted through the sliding screw tract across the fracture site. Lateral based (1.5 cm) subtrochanteric wedge removed to valgise the femoral neck to a desirable extent (aimed at increasing the neck-shaft angle by 15°). Both the osteotomy and fracture fixed with contoured 4.5 narrow dynamic compression plate and screws. In Case 1, a cancellous screw could be passed into the neck across the pseudarthrosis. It was not possible in Case 2 as the neck was very narrow. Case 2 had an interfragmentary screw across the osteotomy site. Histopathological examination of the bone wedge removed revealed evidence of fibrous dysplasia in Case 1 and did not show any pathology in Case 2. Presumably, the cyst had healed though previous radiographs showing the cyst was not available. 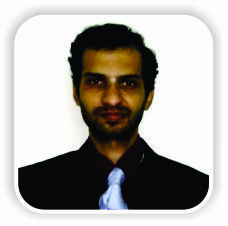 ROM exercises were started in the immediate post-operative period for both cases. They were made to walk non-weight bearing with axillary crutches for a period of 2 months after which they progressed to partial weight bearing as tolerated. Once evidence of full union was noted on the radiographs, they were progressively made to weight bear fully, and crutches were discarded. The fracture united uneventfully in both cases. The results and follow-up characteristics are summarized in Table 1 (Fig. 1 and 2). Non-union neck of femur in children and adolescents is a challenging problem . Internal fixation alone is associated with high failure rates . Various strategies have been suggested to augment internal fixation in isolation or combination – cancellous bone chips , vascularized iliac crest graft , non-vascularized [5, 7], and vascularized  fibular graft and proximal femur osteotomies [3, 4, 9, 10]. Vascularized grafts need microsurgical expertise and equipment and are technically demanding. All available reports of non-union are post-traumatic and not secondary to any pathology and especially after failed fixation as in our series. Although many authors have not favored opening the fracture site [4, 6, 7, 9, 10], we chose to perform capsulotomy, freshening of fracture site, open reduction under vision, and augmentation with cancellous bone graft as the underlying bone was pathological. Fibular graft is thought to provide sufficient osteoconductive and osteoinductive potential, acts as a reliable biological implant for revascularization, and its trephine shape adds to the rotational stability . Valgus osteotomy re-orients the non-union from a vertical orientation relative to the femoral shaft to more horizontal one and converts the shear forces at the non-union into compressive forces, creating a favorable mechanical environment for fracture healing . Previous authors have not used valgus osteotomy with fibular graft  or used only in cases with significant coxa vara . We performed osteotomy in our cases despite normal neck shaft angle because the cases were of failed osteosynthesis. We thought that improvement of fracture orientation was essential. We achieved union in both cases (despite avascular necrosis in one case) without any post-operative avascular necrosis. We agree that non-union of the neck of femur fracture and treatment modality that we adopted are by no means rare. What makes these two cases different is the presence of underlying pathology such as fibrous dysplasia and unicameral bone cyst. 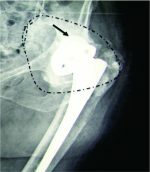 Furthermore, both cases had attempted osteosynthesis with metallic implants that had failed. What we would like to reiterate is that the same approach to conventional post-traumatic non-union works well in this complex situation too. Surgical treatment of neck of femur fractures in adolescents itself carries the risk of failure. The chance of failure further increases if there is an established nonunion, presence of underlying bone pathology and history of failed surgical treatment. Such cases need careful planning and execution of treatment strategies that involve a combination of measures to augment the biology and biomechanics of the fracture to ensure sound union and good clinical results. 1. Ratliff AH. Fractures of the neck of the femur in children. J Bone Joint Surg Br 1962;44-B:528-42. 2. Erol B, Topkar MO, Aydemir AN, Okay E, Caliskan E, Sofulu O, et al. A treatment strategy for proximal femoral benign bone lesions in children and recommended surgical procedures: Retrospective analysis of 62 patients. Arch Orthop Trauma Surg 2016;136:1051-61. 3. 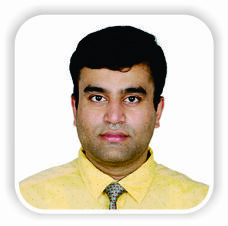 Khan AQ, Khan MS, Sherwani MK, Agarwal R. Role of valgus osteotomy and fixation with dynamic hip screw and 120 degrees double angle barrel plate in the management of neglected and ununited femoral neck fracture in young patients. J Orthop Traumatol 2009;10:71-8. 4. Neto PF, Dos Reis FB, Filho JL, Fernandes HJ, Fujiki EN, Bensahel H, et al. Nonunion of fractures of the femoral neck in children. J Child Orthop 2008;2:97-103. 5. Nagi ON, Dhillon MS, Gill SS. Fibular osteosynthesis for delayed type II and type III femoral neck fractures in children. J Orthop Trauma 1992;6:306-13. 6. Baksi DD, Pal AK, Baksi DP. Osteosynthesis of ununited femoral neck fracture by internal fixation combined with iliac crest bone chips and muscle pedicle bone grafting. Indian J Orthop 2016;50:366-73. 7. Elgeidi A, El-Negery A. Fibular strut graft for nonunited femoral neck fractures in children. J Child Orthop 2017;11:28-35. 8. Xie X, Zhang C, Jin D, Chen S, Gao Y. Free vascularised fibular graft for neglected femoral neck fractures in young adults. Hip Int 2012;22:319-23. 9. Magu NK, Singh R, Sharma AK, Ummat V. Modified pauwels’ intertrochanteric osteotomy in neglected femoral neck fractures in children: A report of 10 cases followed for a minimum of 5 years. J Orthop Trauma 2007;21:237-43. 10. Deakin DE, Guy P, O’Brien PJ, Blachut PA, Lefaivre KA. Managing failed fixation: Valgus osteotomy for femoral neck nonunion. Injury 2015;46:492-6. How to Cite This Article: Subramanyam K N, Mundargi A V, Reddy P S, Umerjikar S. Pathological Neck of Femur Fracture with Failed Osteosynthesis in Adolescent: A Report of Two Cases. Journal of Orthopaedic Case Reports 2018 Nov-Dec; 8(6): 88-91.